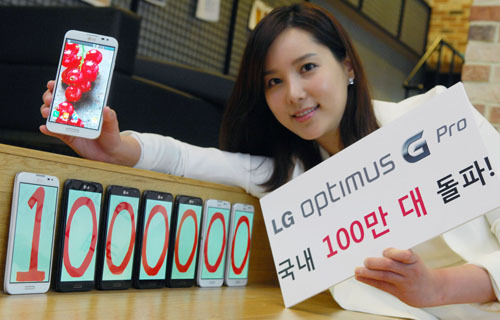 LG announced today that it has now sold 1 million Optimus G Pro smartphones in South Korea. The mammoth Android handset, which boasts a 5.5-inch 1080p display, hit the milestone in LG’s domestic market three months faster than the company’s previous record holder, the Optimus LTE. LG now sells 8,000 units on average each day. The Optimus G Pro was announced in February this year ahead of Mobile World Congress in Barcelona. The device is significant because it’s the first produced by LG with a full HD display. It launched in Korea later that week and is expected to go on sale in North America, Japan and other markets during the second quarter of 2013. 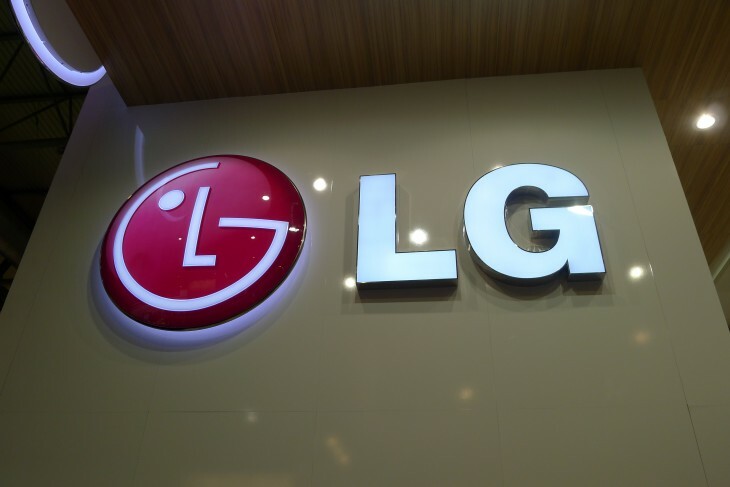 LG will also launch the device in Hong Kong later this month, before making its way to other Asia markets, including Taiwan, Singapore, Thailand, India, Indonesia, Philippine, Vietnam and Malaysia. The smartphone is undoubtedly a high-end device and is designed to go toe-to-toe with the Samsung Galaxy Note and Note II, which also offer a fairly large 5.5-inch display. The Optimus G Pro was also the first Android smartphone with Jelly Bean (version 4.1.2) to come equipped with a 1.7 GHz quad-core Snapdragon 600 processor from Qualcomm. With 32GB of internal storage, a 13-megapixel rear-facing camera and 2GB of RAM out of the box, it’s a pretty formidable device across the board. The one million sales figure announced today is impressive, but perhaps not surprising given that South Korea is LG’s home turf. International figures would be much more revealing, given that some of its competitors – Samsung and HTC being the most notable – are often stronger in Western markets. For reference, Samsung announced last December that it had shipped one million Galaxy Note II smartphones in South Korea, a little over three months after its initial debut. That’s roughly a month quicker than LG, adding further evidence to the global success of Samsung’s Galaxy branding and extensive portfolio of Android devices.